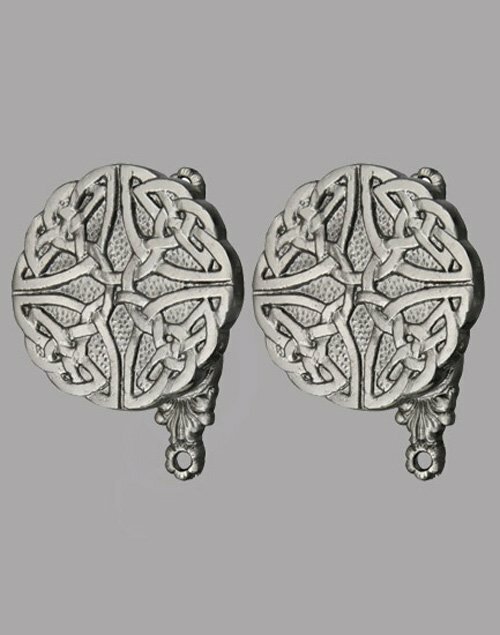 These Celtic knot style hangers can be used for displaying swords or daggers. They make for a wonderful showpiece. 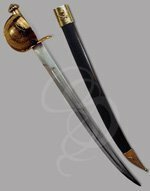 Two hangers are included which can be mounted a the necessary distance apart to accommodate a full size sword or diminutive dagger. Celtic Sword/Dagger Holder. 3 3/8" high. 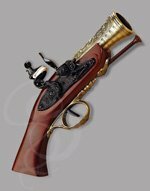 Set of two which may be mounted any distance apart on a wall to display various size swords, bowies, daggers or canes. Cast metal construction with antique nickel silver finish. 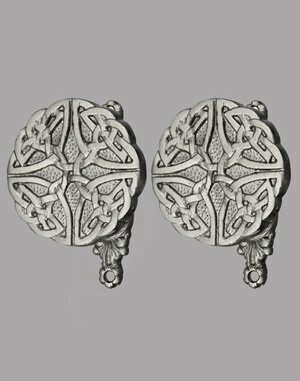 Bought these to hang my dark recourse sword with Celtic tatooing and other engraving. All I can say is they...look...awesome!